Home Brain Health New Research Shows This Ancient Herb Works! One of the interesting things about integrative medicine that I notice with frequency is how many times, despite all our advancements in modern technology, we discover the ancient use of certain foods and herbs is effective at helping to keep us healthy. Don’t take this as a knock on modern medicine. I believe that many of the advancements we’ve made with drug therapy in the past 150 years are incredibly helpful. And yet, I do believe that society at large has devalued ancient ways of improving health in favor of modern approaches to our detriment. Simply put. The treatments of ancient civilizations… those established long before companies like Pfizer and Merck that started making pills are as valuable now as they’ve ever been. Which is why I’d like to revisit the use of bacopa for brain health. Ayurvedic medicine practitioners, (the ancient traditional Indian system of medicine based on the idea of balance in bodily systems using diet, herbal treatment, and yogic breathing) have used bacopa to help people think clearer and with acuity. Bacopa also known as moneywort, is an herb from the far east that enjoys a long history as a nootropic. I’ve written about nootropics before (one of my favorite herbs for blood sugar, berberine, is a nootropic), but in case you’re not familiar with nootropics let me provide a quick refresher. 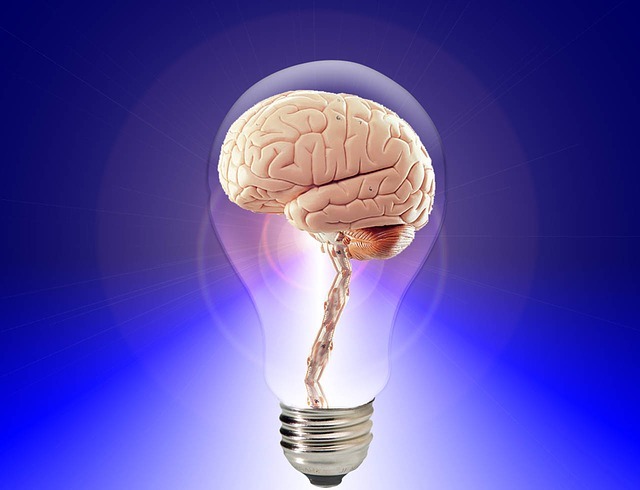 Nootropics are any class of drugs or natural products that positively affect the function of the brain. Nootropics are believed to help the brain work better by restoring the normal, healthy function of neurons while keeping neurotransmitters at the appropriate levels and stimulating their proper release and attachment. While the practitioners who advised people to take bacopa for the brain didn’t know how they worked, they certainly recognized the fact that bacopa helped the brain work like it was supposed to. They realized that when people took bacopa cognition, memory and clarity of thought were improved. In addition to keeping the brain healthy, bacopa also helps keep your body healthy by protecting cells from the ravages of stress. Bacopa is also an adaptogen (a class of herbs that prevent cells from being damaged by various forms of stress). Because it’s an adaptogen bacopa helps shield you from health problems associated with environmental stress. Best of all is modern studies confirming the advice to take bacopa for brain health wasn’t just wishful thinking, it really does work to keep your brain (and body) healthy. GABA is an important neurotransmitter for brain function. The main issue with GABA is you need to maintain a precise amount of it in your brain, otherwise your brain could become too excitable, or it could be dulled and subdued. Studies show that bacopa helps GABA receptors in the brain work properly. Imbalances in GABA receptor activity can lead to temporary health issues and bacopa supplementation influences GABA receptor activity so they function in the normal range. Peak brain health means that you should be able to quickly form a memory and easily pull stored memories up for easy access. Studies on bacopa indicated the herb positively influences how your brain stores and accesses memories. In a study, subjects were given placebo or bacopa to see what effect it had on memory formation and retention. At the conclusion of the study the researchers concluded the individuals who were given the bacopa showed a higher ability to retain newly introduced information. Improved cognition was also observed in people who took bacopa regularly. Brain activity is influenced by the absence or overabundance of certain kinds of hormones. Too much or too little may lead to temporary disruptions in brain function. Therefore it’s important to help maintain a healthy balance of hormones in the body to keep your brain healthy. One of the hormones that influences brain health is cortisol. Cortisol is one of the primary hormones released in a normal stress response. Studies support the claim that taking bacopa could help to bring temporary spikes of cortisol down. This positively influences brain health by relieving the occasional anxiety that’s been associated with periodic spikes in cortisol levels. When this kind of anxiety is mediated it prevents the future interference of regular brain function which enhances a person’s ability to make and form memories and think quickly and clearly. Our brains are extremely sensitive to damage. Bacopa helps to build a physical “hedge of protection” around our brain so it can resist exposure to possible threats. There are a few mechanisms that help bacopa protect the brain. One of the most well-known was performed in a study on humans where scientists checked bacopa’s influence on blood flow in the brain. Researchers observed that bacopa has the power to increase blood flow into the brain which didn’t just assist brain function but could have therapeutic and protective effects on brain tissue. There are also studies supporting the use of bacopa for growing dendrites in the brain. Dendrites are the fingers at the end of nerve cells essential in the transmission of neurotransmitters. When bacopa was given to adult rats it resulted in dendritic growth stimulating properties which helps to protect the brain in case it experienced neuronal damage elsewhere. If you’re starting to be convinced bacopa might be for you then I invite you to check out this article written by Joseph Cohen from SelfHacked.com where he documents 37 separate uses of Bacopa. You’ll quickly discover bacopa is one of the more powerful natural herbs you could ever take. Obviously if you’d like to take it we can assist you. Bacopa is a top-seller in our store – not just because we recommend it so much, but because so many people experience the powerful benefits it provides. Click here or on the image below to get your own supply.